Combat Infantryman's Badge, 2nd Award, Subdued. Embroidered cloth CIB in black on green with star. 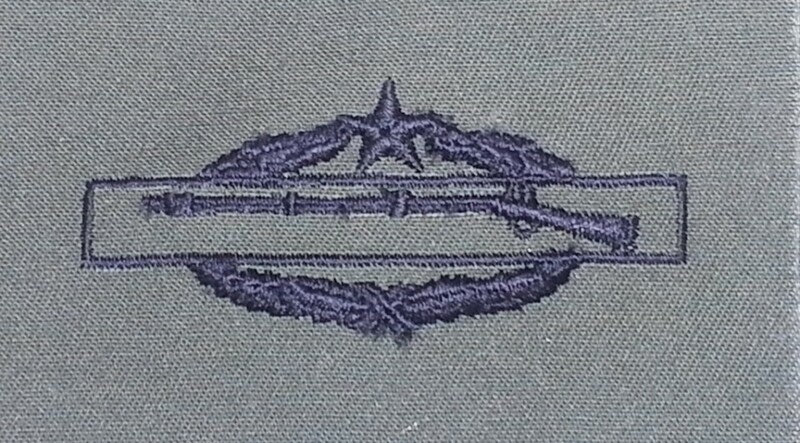 Combat Infantryman's Badge, 2nd Award. Subdued. Embroidered cloth CIB in black on green with star.